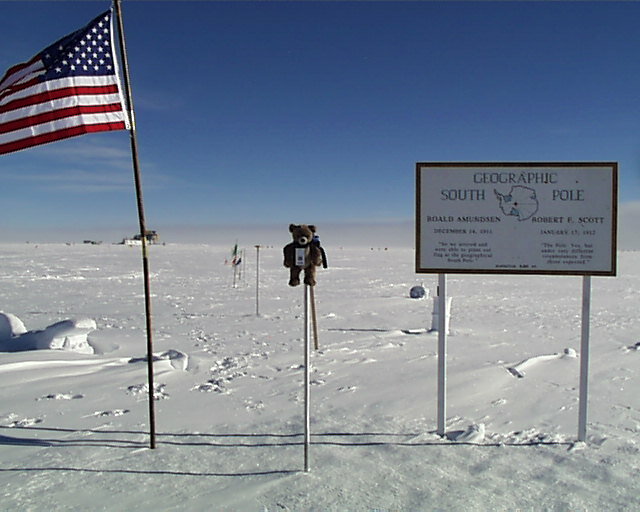 John Bear has his picture taken on the South Pole marker. 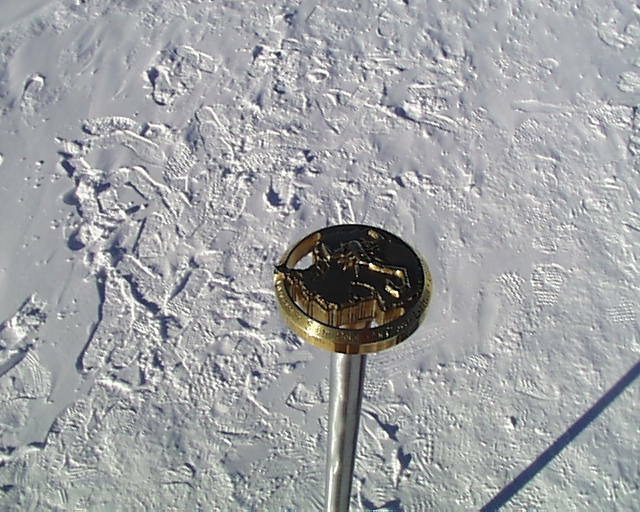 The ice moves about 10 meters every year, so you can see last year's marker in the background. 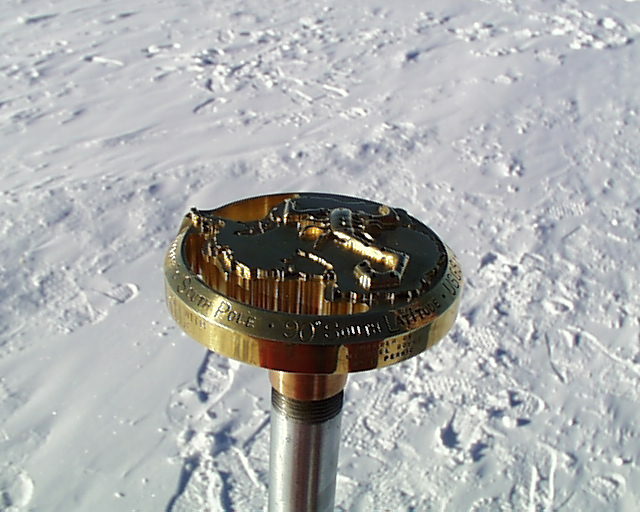 The South Pole marker was very nicely designed. It is made out of brass. 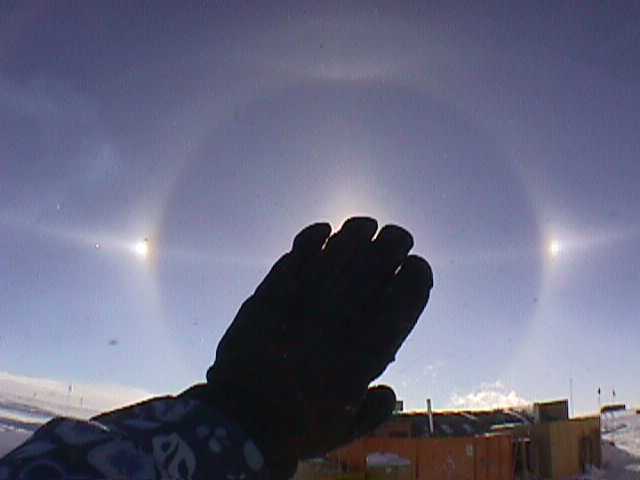 Rainbows are spectacular in the South Pole, with many circles going everywhere. The bright spots at the sides and top are where two rainbows come together. 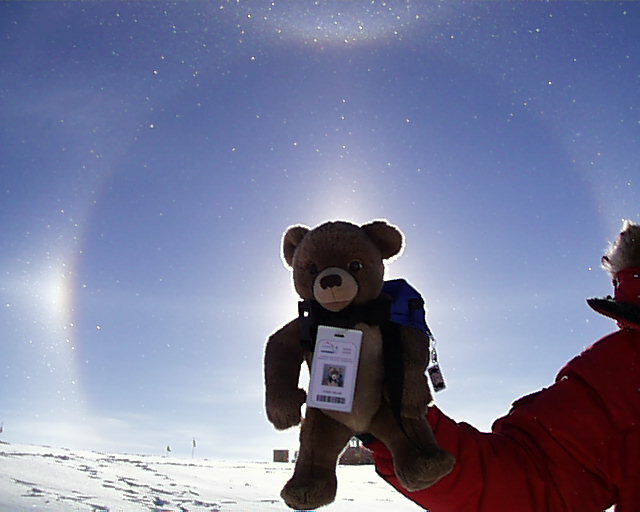 John Bear has his picture taken at the entrance to the "United States of America Amundsen-Scott South Pole Station." On a sunny day, a tractor takes some cargo into the dome. 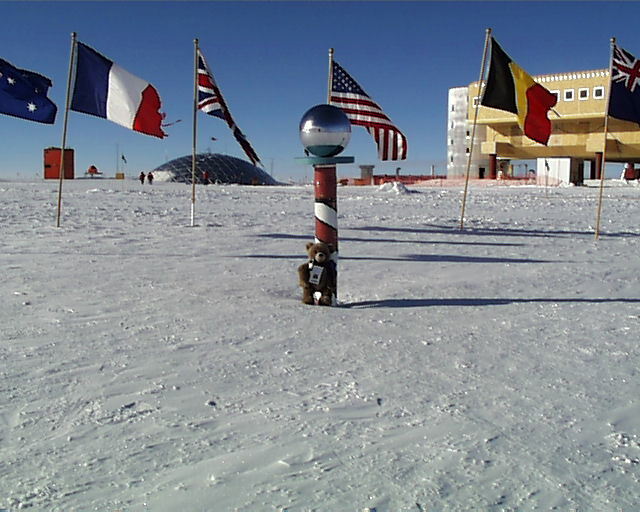 Next to the real South Pole, there is a ceremonial marker. 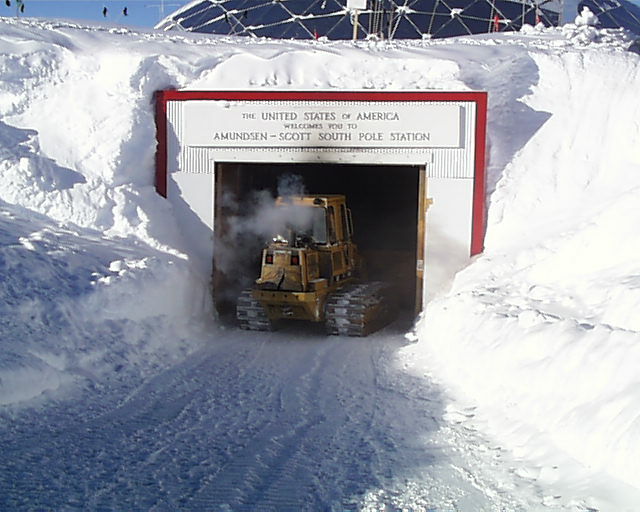 In the background, you can see the dome of the South Pole Station and the plywood exterior of the New Station that is still under construction. 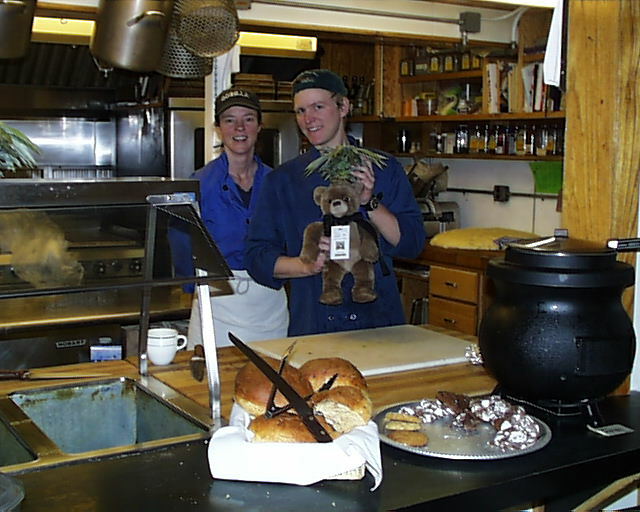 John Bear liked the food in the galley. The cooks liked him too. They have to cook three meals a day for 200 people. Hot soup is available 24 hours a day, and usually cookies too. John Bear had to start watching his weight after about a week of eating too many cookies. 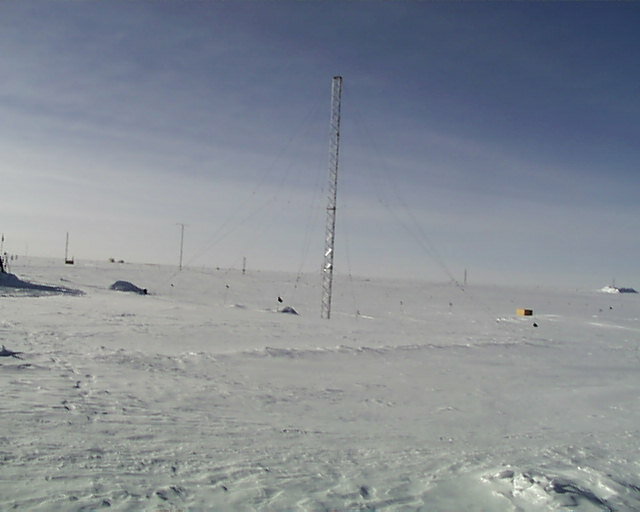 Behind the station is an antenna field used to measure the air quality and various things about the snow, clouds and atmosphere. The marisat satellite dish is used to communicate with the rest of the world. 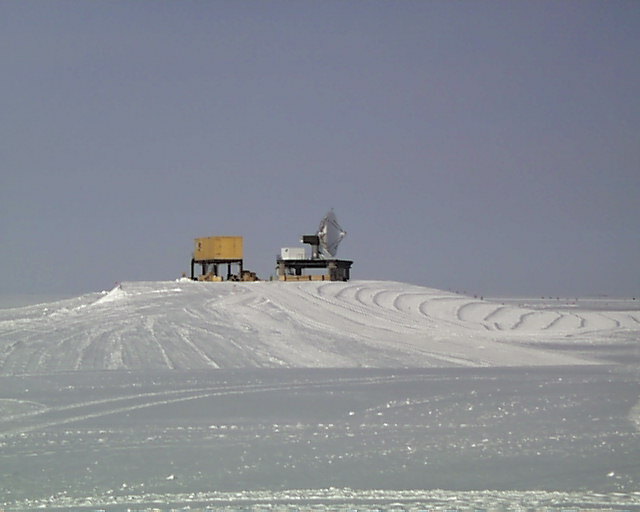 There are no cables into the South Pole, so the communications satellite is very important. 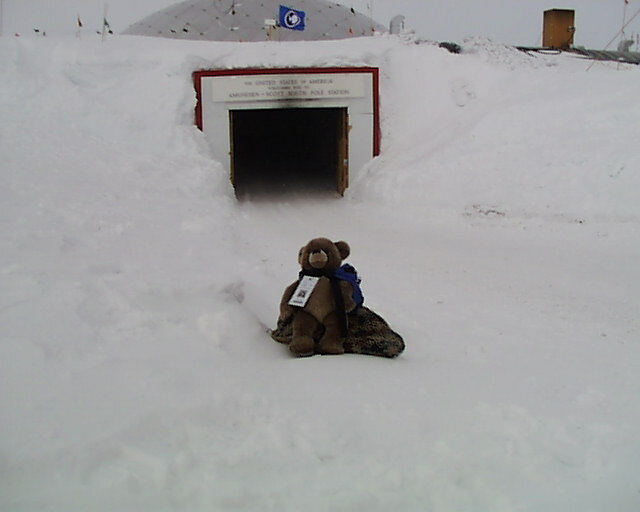 Through it, you can send email to the South Pole for a few hours every day.